Mumbai: Top Bollywood actors, including Kareena Kapoor, Bhumi Pednekar and Madhuri Dixit, have condemned the alleged molestation of National Award-winning actor Zaira Wasim. The 17-year-old actor, known for her roles in films like Dangal and Secret Superstar, was allegedly molested on a Delhi-Mumbai flight on Saturday night. The actor later narrated her ordeal on Instagram via a live video. The man was arrested by the police in Mumbai last evening. When asked about the incident, Pednekar said she was shocked to know about the alleged molestation but the actor was happy that Wasim showed courage to speak up about her ordeal. “I am appalled. She is a child. There is a problem in our culture where people think, especially if you are an actor, that you are their property. This is hugely problematic. But I am very happy that she put it out on social media. I am glad she took that step because it needs a lot of courage to speak, to come out and take a stand like that. More power to her,” said Pednekar. Kareena Kapoor Khan, Madhuri Dixit at the Lux Golden Rose Awards. Images from Twitter. Actor Kareena Kapoor Khan said women are far superior than men and that females can rise above any difficulty. “I definitely feel women are way more superior than men. We are fighters and whichever situation it is in our life, personal or professional, we all come out as fighters. When we talk about God, we talk about goddess. So, we look from the perspective of a woman. When we talk about the earth, we say Mother Earth. So, whenever we talk about anything, we talk about women. Women are far superior (than men). So, they can fight out of every situation,” Khan said. Television actor Mouni Roy said she was deeply saddened by the incident, which is an act that stems from a poor mentality. “Now, what should I say about this country. On one hand we talk about women empowerment, on the other hand we hear about all these incidents. But I think it is very important not to just stand against it and talk about it, but also to educate people against this,” she said. “I genuinely dont know what to say. It deeply saddens me. The kind of life we lead, the kind of education we all are getting, in fact, the levels of education in towns and villages have gone up. This is just really sad. I think this reflects a poor mindset,” Roy added. 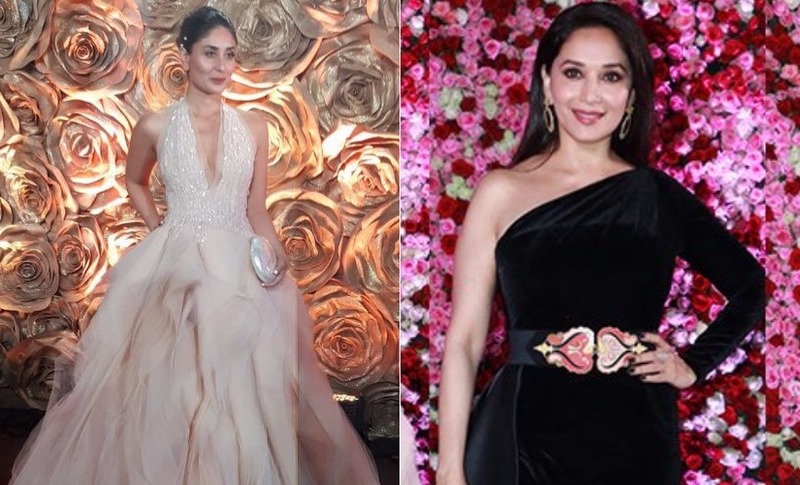 The celebrities were speaking at the red carpet of Lux Golden Rose Awards in Mumbai last night. Actor Zareen Khan said there should be a focus on preventing such incidents rather than attending to “minuscule” things. “I really dont know what to say about it because such incidents keep happening in our country. Rather than focusing on issues like these, I dont know why our country is behind minuscule matters,” she said. “The way we talk about women empowerment and safety, I dont think only talking about it is needed. We also need to take some action to stop all of this,” Khan added. In the video, which Wasim recorded immediately after deboarding the flight, she broke down several times. “This is not done, I am disturbed… Is this how youre going to take care of girls? This is not the way anybody should be made to feel. This is terrible!” she said. “No one will help us if we dont decide to help ourselves. And this is the worst thing,” she added.